The U.S. Department of Transportation will reportedly be laying out new guidelines on self-driving cars in July, hoping to improve the speed with which companies like Apple and Google can deploy their technology. 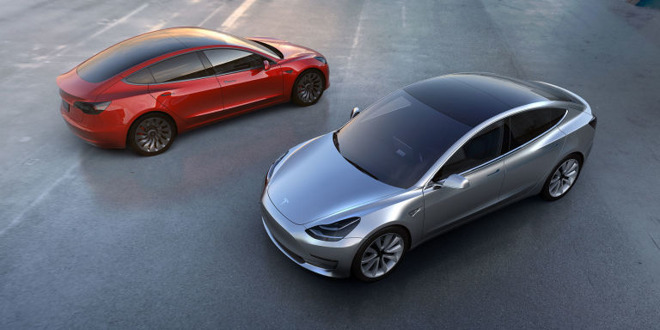 Tesla's upcoming Model 3, which already has some limited autonomous tech. Regulations need to evolve faster, National Highway Traffic Safety Administration head Mark Rosekind told an industry conference in Detroit, according to Fortune. Notably the administrator proposed that self-driving systems shouldn't have to be perfect to be authorized, only a minimum of twice as good as human-operated vehicles. This would theoretically cutdown on American highway deaths, which Rosekind likened to "a 747 crashing every week for a year." He also hinted at the possibility of accepting a Tesla offer to share data from cars equipped with its Autopilot feature, which while not fully self-driving can keep a vehicle on a highway and avoid collisions with other drivers. "We're looking to see what the offer might be," Rosekind explained. "If the offer is there, we're going for it." The NHTSA has previously said that while there are many legal obstacles before cars without wheels or pedals can be sold, there are far fewer barriers towards cars that keep those human controls as a backup. Apple is believed to be developing an electric car under the codename "Project Titan." The first model could ship as soon as 2019 or 2020, but may not initially be autonomous. That could have to wait for subsequent models or software updates.